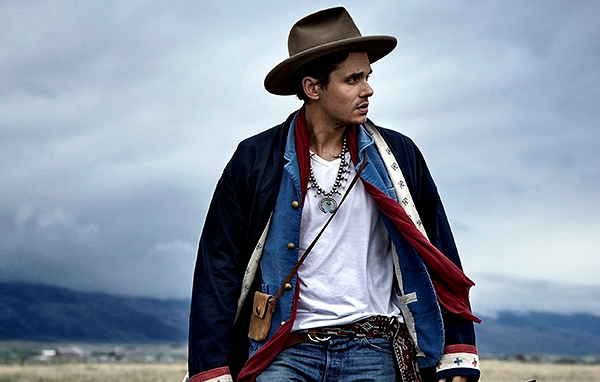 Spin This: "Paper Doll," "Waitin' on the Day," "Dear Marie," "Call Me the Breeze"
Blame it on the change of territorial locale and the vocal rest following corrective throat surgery, but John Mayer is dipping deeper and deeper into subdued rock. Although his kind of acoustic soul has always been a bit soothing, Paradise Valley – the hunky guitar posterchild’s sixth studio album – feels breezier and more relaxed than previous efforts. Of course, on this round, the cloud of debate surrounds Mayer’s decision to put this vehicle on cruise control: Much of the album is moderately uptempo, but feels like a baggage full of safe sunny folk. It manages to carry the same undertones of Born and Raised, which isn’t much of a compliment when you’re looking at things on the surface. But it does a remarkable job in improving on its palette, particularly when he gives ample time to the genres that’s near and dear to him. “Wildfire” explores Southern gospel traits and even some Stevie Wonder-esque keyboard action. JJ Cale’s “They Call Me the Breeze” allows him to pay tribute to a recently deceased kindred spirit, while pulling out a funky dose of jukejoint blues. Then there are the enchanting folk strokes “Dear Marie,” which rhymes together a sweet love story and crescendos with a hearty oh-oh-oh-oh sing-a-long. The sweet love songs are sprinkled out across “Waitin’ on the Day” and the deliciously paced “Paper Doll,” which sounds just as magical as his most memorable cuts. And the album closer, “On the Way Home,” captures a dash of glorious harmonies alongside a display of Tennessee country pride. There’s also a chunky of load of band jam moments tucked inside the song craft, where guitars are encouraged to solo with arena rock gusto. A guy with his kind of popstar majesty (particularly for his laid back style of rock) brings Katy Perry to the plate for an appetizing duet that follows the tradition of 2009’s “Half of My Heart.” Her part is more prominent than Taylor Swift’s role on that song, and actually coasts like a soothing R&B ballad. Later on, Frank Ocean reprises “Wildfire” alongside Mayer. Unfortunately, his psychedelic vocal style hardly gels well with Mayer’s music and, for the most part, rocks the album almost off the rails. But it’s a one minute-thirty second quickie that’s easy to forgive. Overall, Mayer is in good voice, which is a pleasant surprise for a guy who’s had to endure vocal cord surgery, and his songwriting is still possessed with an alluring magnetism. 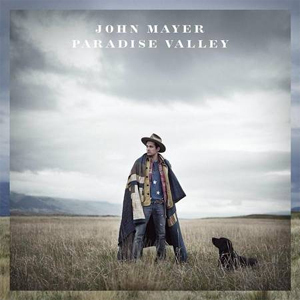 Although Mayer still seems like he’s too relaxed at times, Paradise Valley is a better record than Born and Raised. And maybe this was just his way of revisiting a deservingly overlooked record and correcting its problems.